Remembering Victims of Sarin Gas Attack on Khan Sheikhoun: Two Years Now. 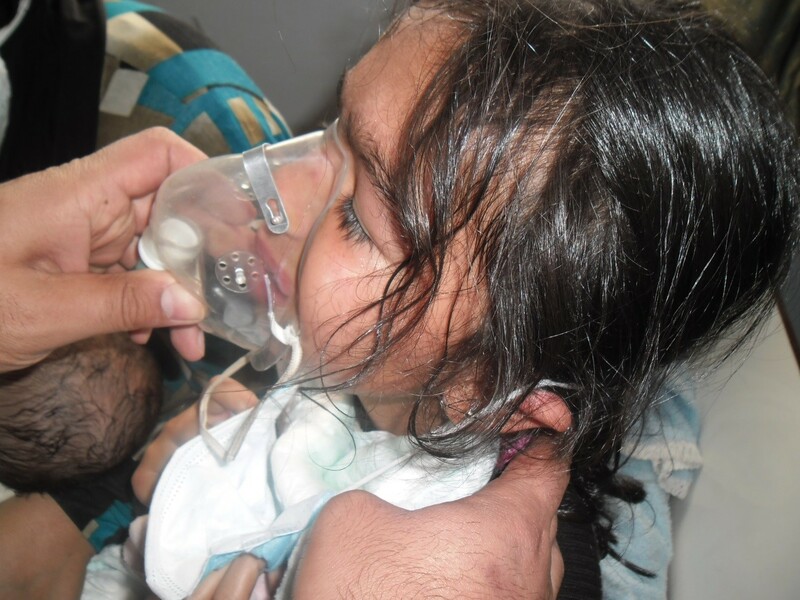 Two years ago, on April 4, 2017, Khan Sheikhoun was subjected to one of the largest and deadliest chemical weapons attacks in Syria since the beginning of the conflict, killing more than 90 people, many of whom were children, and injuring more than 560. Barrel bombs filled with nerve agent were dropped on civilian areas. The harrowing images of children, men and women gasping for air shocked the world, yet these heinous attacks against humanity have continued with impunity. An October 2017 Report from the Organization for the Prohibition of Chemical Weapons (OPCW) and the UN’s Joint Investigative Mechanism (JIM) concluded that Syrian government forces were responsible for the attack. In the wake of this attack on Khan Sheikhoun, SAMS was one of the leaders in the humanitarian response, treating 201 civilians in nearby hospitals. In addition, SAMS has pushed the international community to conduct a full and transparent investigation, and to hold the perpetrators accountable. Today, we would like to remember and honor the victims of the Khan Sheikhoun and the thousands more who have been affected by the egregious, illegal use of chemical weapons in Syria. Despite the international outrage and pledges to take action to put an end to these blatant violations of international humanitarian law, the “red line” has been repeatedly transgressed. Since 2012, SAMS has documented nearly 200 usages of chemical weapons, killing more than 1,650 people and injuring over 15,000. In 2013, residents of East Ghouta experienced a brutal sarin gas attack that killed more than 1,300 people. Five years later, in early 2018, East Ghouta was yet again subjected to seven chemical weapons attacks, coupled with a stifling siege, with no action taken to hold perpetrators accountable for these crimes.